An ICSID tribunal has ordered Kazakhstan to pay nearly US$25 million for the seizure of investments at the port of Aktau on the Caspian Sea through the “executive action” of court bailiffs that went uncorrected by the courts – but rejected allegations of judicial corruption. The 125-page award of Ian Binnie QC, Bernard Hanotiau and Sir Daniel Bethlehem in favour of Turkish investor Aktau Petrol Ticaret was dispatched to the parties yesterday. It is the third successive time Hamid Gharavi of Derains & Gharavi has won damages for a client in ICSID treaty claims against Kazakhstan, following the awards in Rumeli and Caratube II, issued in 2008 and in September this year. The tribunal upheld jurisdiction and held Kazakhstan to be in breach of the protections against uncompensated expropriation in the Energy Charter Treaty and Turkey-Kazakhstan bilateral investment treaty. It also held that the state had violated the fair and equitable treatment provision of the Switzerland-Kazakhstan BIT, imported into the Turkey-Kazakhstan BIT by virtue of a most-favoured nation clause. The tribunal stressed at several points of the award that this was a case about expropriation “by executive action” – namely the action of court bailiffs. It said Kazakh courts had not initiated or approved the action but had failed to correct it despite “every reasonable opportunity” to do so. In this respect, it said there had been “systemic” failure by the courts – however it did not accept allegations by Aktau that they were “puppets, tools” of prominent Kazakh businessmen. In fact, it said there was “no evidence of judicial corruption” in this case and declined to order that Kazakhstan pay Aktau’s legal costs on the usual “loser pays” principle on the basis that this allegation had failed. Of US$80 million claimed at the hearing earlier this year, the tribunal awarded US$22.7 million damages plus the costs of the arbitration, taking the value of the award to US$24.5 million. It also ordered the payment of pre and post judgment interest at a rate of LIBOR plus 2 per cent. With interest so far, the award is worth US$30 million. In the early days, the claim had been reported as US$150 million but this sum was not mentioned in the award. Aktau Petrol is part of the ASB Group, owned by Turkish citizen Sitki Ayan. Between 2006 and 2014, it and other companies in the group invested in oil transhipment and storage facilities at the port of Aktau in western Kazakhstan, including a private railway connecting the state railway system to the port, an oil terminal and 695 railway tank cars. The dispute began in 2007 when Ayan struck up a commercial relationship with Askar Kulibayev, a prominent Kazakh businessman and former government official, in the hope it would make it easier for ASB Group to overcome bureaucratic obstacles and to operate and thrive in Kazakhstan. Although it was not mentioned in the award, GAR has previously reported that Kulibayev is related to Kazakhstan’s president Nursultan Nazarbayev by marriage. According to Aktau Petrol, the commercial relationship was abused and exploited by Kulibayev, who orchestrated multiple court proceedings that led to the expropriation of its investments in breach of the ECT and BIT. Kazakhstan for its part argued that Aktau lacked any investment in the railway, having acquired its shares by transfer from other corporate entities in the ASB Group, and that its title to the railway cars had been assigned away by the time of the alleged expropriation. It said the company had invested only a small amount in the oil terminal and that any losses it suffered were inflicted by Kulibayev and Ayan’s own Azerbaijani representative in Kazakhstan, for whom the state bears no responsibility. An interesting discussion at the outset of the award – covered by GAR separately here – concerns the relevance of “similar fact evidence”, in light of Aktau’s arguments that Kazakhstan’s conduct followed a familiar “modus operandi” seen in the Rumeli case and elsewhere. The tribunal said it would not be swayed by such “propensity evidence”. This was followed by the tribunal’s finding that it had jurisdiction over all Aktau’s claims, including ones relating to the private railway line. The line had been acquired for a nominal share value as part of a corporate reorganisation of ASB Group’s investments in Kazakhstan, the tribunal said. It said that in its view, the company’s problems were caused mainly by the conduct of bailiffs employed by Kazakhstan to implement court decisions, rather than by the courts themselves. It said Aktau had made “reasonable efforts” to get the Kazakh courts to correct the illegalities but the courts were “uninterested” – and thus “crystallised the expropriation” of the investments. For example, the tribunal described how following a US$870,000 court judgment against a Swiss-incorporated company in the ABS Group, a Kazakh court bailiff took Aktau Petrol’s entire shareholding in the railway line in satisfaction of the debt – despite the fact that they were separate entities. It held that this was in breach of Kazakh law – which, according to experts for both sides of the arbitration, prohibits the state from “taking the property of corporation A to satisfy the debt of corporation B”. It also noted that the bailiff had seized goods quicker than permitted by the law and failed to carry out a legally-required valuation of the shares – to determine whether Aktau was entitled to any money back through a public sale. The tribunal found there had been similar misconduct by court bailiffs in relation to Aktau’s other losses, set out in detail in the award. Apart from a single first instance court decision in relation to the railway shares, the Kazakh courts had avoided delving into Aktau’s complaints or reviewing the legality of the bailiffs’ conduct, it said. Further litigation by Aktau would not have been constructive “because the appellate courts demonstrably lacked any will to intervene”. The tribunal said that what had occurred in this case was not judicial expropriation, as contemplated in the NAFTA case of Eli Lilley v Canada, but “judicial apathy” in discharging the responsibility to hold the executive to account. The tribunal said quantum in the case posed “considerable difficulty” as there had been three accepted but “unconsummated” agreements to buy Aktau’s investment in the oil terminal in the late 2000s. The last of these was with Kulibayev’s company AKA Oil Trading and named a sale price of US$70 million. Aktau considered these agreements “reliable indicators” of the value of its investments that supported its US$80 million claim. However, the tribunal said that “extrapolating an accurate assessment of quantum” from any of them was problematic, even with the assistance of experts from KPMG and BDO (for Aktau) and Navigant Consulting (for Kazakhstan). For one thing, the tribunal noted the evidence of Sitki Ayan, the owner of Atkau, that the reality of business in Kazakhstan meant he could only sell to Kulibayev – who had successfully chased away rivals and had the company “in the grip” of litigation. “The evidence shows that there was no ‘fair market’ […] in which ‘fair market value’ could meaningfully be ascertained,” the tribunal said. It also raised doubts over the “bona fide” nature of Kulibayev’s own offer to buy the terminal in light of Aktau’s portrayal of him as “a manipulative, unprincipled and deceitful businessman”. In the end, the tribunal said none of these offers could be taken “at face value” and favoured a much earlier, 2003 valuation of the oil terminal as worth US$11.4 million. It explained that it had added sums for the railway track and cars and proceeded on the basis that Aktau’s expropriated investments were “a package,” the value of which had increased briefly then declined because of their poor financial performance. It also took into account fluctuations in the economy and the price of oil that had “knock-on” effects on the value of oil-related service industries. 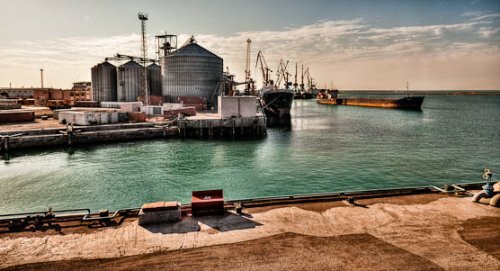 The final damages award reflected Aktau’s sunk costs, with some inflation to reflect repairs and improvements it had made to the terminal. It also noted that most of the “voluminous” court documents on which Aktau had relied had been collected by, Kazakhstan’s lawyers, who naturally had “greater clout” in dealing with Kazakh court officials. It declined to award a “success fee” of 5% of the damages, interest and costs requested by Derains & Gharavi. In passing, the tribunal revealed details of another arbitration brought by one of the potential buyers of the oil terminal, Hawkinson Capital Incorporated, against Ayan’s company SOM Petrol Ticaret, for failing to transfer the promised shares. This case went to LCIA arbitration and ended with a US$20 million award in Hawkinson’s favour delivered by sole arbitrator W Laurence Craig in 2009. Speaking to GAR today, Gharavi said that arguing against Kazakhstan is always a challenge “because of the legal spin it gives to its expropriations and the quality of lawyers it hires to defend it” – and this case was “no exception”. He adds that it was refreshing for him and his co-counsel Ziya Akinci to see “a tribunal of such experienced arbitrators render an award so promptly” [less than six months after the hearing]. It is also hard to find a “sharper, more prepared and humbler arbitrator than Ian Binnie QC, who was tribunal president,” he said. Gharavi won US$125 million plus interest for Turkish investor Rumeli against Kazakhstan in 2008 and has recently won US$39 million for oil company Caratube after the claim was rejected on jurisdictional grounds the first time round. He is currently fighting a further claim against the state brought by investors in a pharmaceutical business. In the Aktau case, Kazakhstan was represented by a team from Reed Smith in London led by partner Belinda Paisley and by barrister Christopher Harris of 3 Verulam Buildings, who both have a long track record of acting for the state. Harris declined to comment on the award, which has yet to be published by ICSID. The case saw an early challenge to Hanotiau by Kazakhstan on the basis of his involvement in the Rumeli case, which the state said involved similar issues of facts of law. The challenge was rejected by his co-arbitrators in 2015, with the case proceeding to a week-long hearing in Paris in March and April this year“. “Aktau tribunal considers “similar fact evidence”"
“The tribunal in the Aktau award refused to be swayed by “similar fact evidence” alleged to show a propensity by Kazakhstan to expropriate foreign investments through its courts. The tribunal cited Hamid Gharavi of Derains & Gharavi, counsel to Aktau, who said in his opening submissions that his case concerned the “modus operandi” of Kazakhstan and “its oligarchs and elite”. To establish Kazakhstan’s liability for the expropriation of its investments, Aktau drew parallels with the ICSID case of Rumeli Telekom v Kazakhstan, in which the state was held responsible for depriving a Turkish telecoms investor (also represented by Gharavi) of a major financial investment and ordered to pay US$125 million compensation. That award came out in 2008. Aktau also filed background, information, reports and international commentary which it said further showed that Kazakhstan regularly expropriates foreign investors in this way. However, the tribunal including Ian Binnie QC, Bernard Hanotiau and Daniel Bethlehem QC was not swayed. “Similar fact evidence presupposes that entities or personas alleged to be guilty of misconduct on one or more occasions are likely to have misconducted themselves in the case under consideration. It is ‘propensity’ evidence,” it said. Such evidence is all the more problematic when it relates to “the numerous individuals who individually and collectively act on behalf of a state,” the tribunal said. It distinguished Rumeli on the basis that the Kazakh state actor found to be primarily at fault in that case was a state organ called the investment committee – which was accused of impropriety but exonerated by the courts. In Aktau, in contrast, the courts were alleged to be to blame for the expropriation. This distinction had already been made in response to proceedings brought by Kazakhstan to disqualify Belgian arbitrator Bernard Hanotiau early on in the case, it noted. The tribunal went on to offer the view that Aktau’s evidence regarding Kazakhstan’s alleged propensity to expropriate was in fact not “similar fact evidence” at all as the factual situations it raised were quite different even though the outcomes (the seizure of foreign investments) were the same. Gharavi had acknowledged this when he told the tribunal, “Every time they do it differently. The fact pattern of each case is different”. To the tribunal, this defeated the evidence’s value. “The essence of similar fact evidence, as the name implies, is similarity of facts not outcomes,” it said. Similar fact evidence is occasionally raised in criminal court trials in the UK and other jurisdictions, when it is alleged that a defendant had a propensity to commit a certain type of offence in a certain way, raising the likelihood of guilt in the case before the court. However, there is normally vehement debate as to whether the probative value of the evidence is outweighed by its prejudicial effect. Speaking to GAR, Gharavi explained there are some actions by states that can only be proved by “circumstantial evidence” and that referring to the findings of other investment tribunals can be helpful, especially where the “same players” are involved [in Rumeli, the expropriation supposedly benefitted Timur Kulibayev, the son-in-law of president Nursultan Nazarbayev; while in Aktau the beneficiary was his father, Askar Kulibayev]. “In this case, the tribunal did not believe such evidence to be probative or that it needed it to make findings that Kazakhstan illegally expropriated Aktau’s investments and denied it fair and equitable treatment,” Gharavi says. Kazakhstan was represented in the case by a team from Reed Smith in London led by partner Belinda Paisley and by Christopher Harris of 3 Verulam Buildings. Harris declined to comment”.